Google Home Hub is the newest member of the Google Home family, bringing you help at a glance. 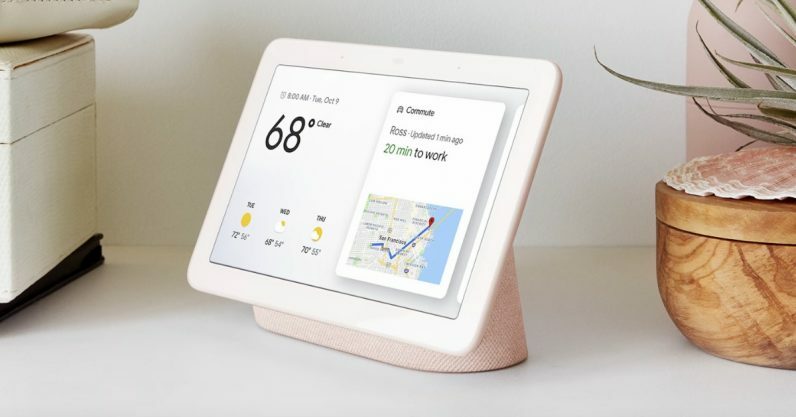 With the Google Assistant built-in, you can use your voice to get the best of Google—Search, YouTube, Google Photos, Calendar, Maps and more—right on Google Home Hub’s display. We consciously decided to not include a camera on Google Home Hub, so you feel comfortable placing it in the private spaces of your home, like the bedroom. On the top of the device you’ll find the Ambient EQ light sensor. It allows the screen to automatically adjust to match the lighting in the room, so photos on Google Home Hub will blend in with the room, too. That means no glowing screen—it fits seamlessly into your home. When it's time for bed, Hub knows to dim the screen for a good night’s sleep.